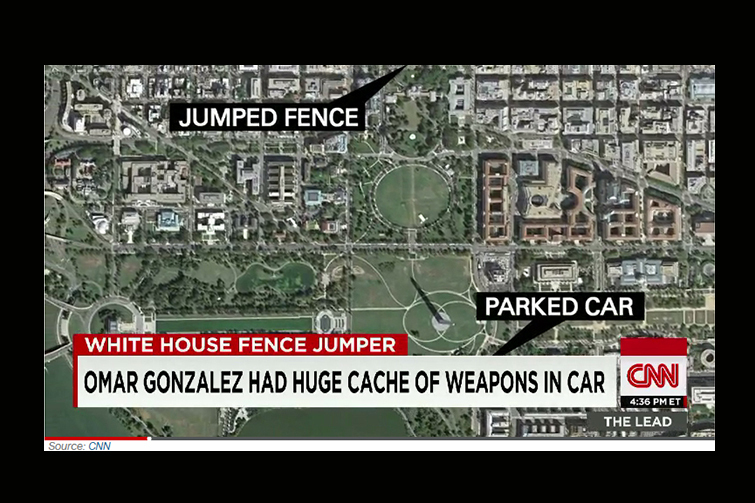 On Friday, September 19th, Omar J. Gonzalez, clambered over the perimeter fencing to what some believe is the most secure home in America. While Mr. Gonzalez’s intentions are unknown at this time, prosecutors allege that over 800 rounds of ammunition, two hatchets and a machete were found in his nearby vehicle. He did make it to the White House interior with a folding, serrated blade knife in his possession. This is a scary and sobering thought. Using this situation simply as an example, protecting your assets is not merely made up of the physical barriers that we may have in place or the devices that we utilize. It’s much more, including having the correct policies & procedures in place, and have people trained to correctly respond to them. The one thing to remember in this situation, or any situation where physical security comes into play, is that your surveillance, intrusion, access control and other physical security systems are only as effective as the people operating them. You can have a multi-million dollar state-of-the-art physical security system or PSIM, but at the end of the day the most important asset to your protection is the person(s) sitting at the security command center. While the accused made it as far as the North Portico, he was apprehended without incident. This is due to the policies & procedures that are in place to respond to such an event. While we use security systems as deterrents and investigative tools, we also use them for reactive measures; much like cause and effect. I think to think of this approach like Sir Isaac Newton looked at the laws of motion; that each action should have an equal and opposite reaction. For every event there should be a reaction appropriate to that event, and all of these situations should be documented and used as training for your security teams. For that very reason, it is imperative that security directors revisit their policies and procedures in order to prevent this type of situation from reoccurring. Adequate staffing to mitigate threats, clearly disseminated policies & procedures, and the aptly trained security professional at the command station that is trained to respond to systems and events accordingly is what is needed. These amazing systems alone cannot protect your assets. When dealing with security and the protection of the most important asset, human life, we security professionals must always remain vigilant. Remember folks; revisit, revise and re-implement!